Assuming you’ve begun the epilogue, which I hope you have before reading this, you should know that the entirety of New Austin becomes available to the player for the rest of the game. Being able to ride through the RDR’s classic map, in all of it’s graphically enhanced glory, is awesome in spite of it’s relative emptiness. What I want to know is, will New Austin be available in Red Dead Online? I can see why it might be a problem. For a server of only thirty two players, New Austin might be over-extending the map. But surely Rockstar didn’t painstakingly recreate the map just so it could be available for the single player epilogue, right? Of course it will be available. I believe one of the main driving factors for it's inclusion was Online play in the first place. I hope so. Red Dead 2 is definitely the superior game, but the original map had a much better spaghetti western atmosphere to it. Speculation only, but I believe that not only will it be open, but the cholera plague in Armadillo will be over. There will be some form of quick travel in online (possibly more train station and coach options). The map seems far too big for 32 players, but I'm sure events, resources and the like will get players closer to each other. OTOH, so much real estate will let you be mostly a loner if you like. Assuming it keeps the 1899 timeframe, the cholera plague will be just starting. 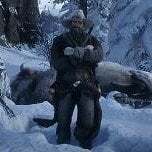 There's evidence in game of RDO taking place on the Epilogue map, which is 1907. Also, Armadillo bank has a full interior that you can't access in single player too. There are newly built houses with for sale signs outside them dotted around the map in the Epilogue and there was evidence of purchasable houses in the companion app I believe. That seems circumstantial, but you might be correct. That seems circumstantial﻿, but you might be correct. The houses have full interiors and only show up after the game is finished and as far as I know they aren't on the map at all in any form pre-Epilogue unlike some of the other buildings in progress in the various towns.. Also, this might be reaching, but they made a catalogue with houses in it (for Beechers Hope). They could be using the same one for RDO houses. New Austin feels like it's been set up specifically for Online. Having loads of open space allows them to add more to the map easily too.